Fall is the best time to divide some clumping perennials such as Daylilies, Stokes Asters, and Crinums. These plants, like so many others, are dormant during this time of year which will give them time to get their roots re-established before the spring flowering season. Propagate daylily hybrids by dividing the fibrous, somewhat tuberous root clumps. Before digging up, trim back the leaves to about 6 inches. Yes, this looks radical, but they will be just fine and this allows you to see the individual fans of leaves. With a shovel, trowel, or garden fork dig 3 or 4 inches around and under the clump and lift out. Gently pull the plants apart untangling the roots. The roots of daylilies are very resilient, so don’t worry if you break or tear a few. You can also use a garden hose to remove soil from around the roots. If you have time, leave each fan outside to air dry for 24 hours. This helps to prevent disease. To replant, dig a hole slightly deeper than the roots of the daylily fans. Form a small mound in the center of the hole that reaches to ½ to 1 inch below the top of the hole. Position the daylily on top of the mound with the roots out around it, like an octopus. Fill in around the roots making sure there are no air pockets. Be sure to water new divisions until plants are well established. Stoke’s Asters have roots somewhat similar to daylilies in that they are fibrous and grow tangled together. They are best propagated in late winter or spring by dividing the root clumps. Dig up the whole clump and with your hands, pull apart the plant roots. 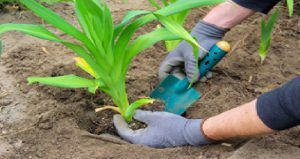 Replant by digging a hole about as deep as the roots are long, then, holding the plant leaf base at ground level, fill soil in around the roots removing all air pockets as you fill. Water well and frequently until established. 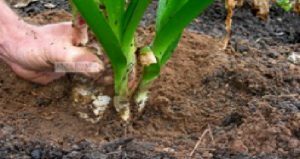 Crinum bulbs may be divided every 3-5 years. The large bulbs are long and deep rooted, and it’s best to dig up the whole clump. 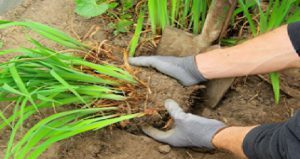 If the clump has gotten really large, use a shovel to cut it into more manageable pieces and then separate bulbs and remove the side bulbs with your hands, knife or other sharp tool. Plants started from these offsets may take 2-3 years before they begin full flowering. Replant with top of bulb just at ground level. For best results, dig a hole deeper than the bulb. Hold the bulb in the hole with the top of the bulb even with the ground. 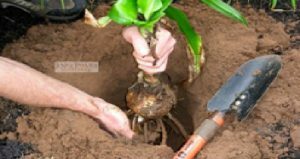 Fill dirt in around the roots below the bulb and then up around the bulb being sure to carefully press soil down to remove air pockets. 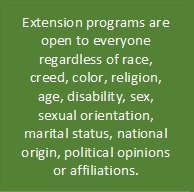 Water well and regularly until established. 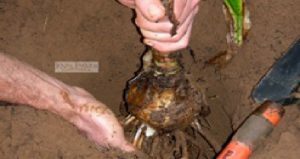 Crinum bulbs may be divided every 3-5 years. The large bulbs are long and deep rooted, and it’s best to dig up the whole clump. If the clump has gotten really large, use a shovel to cut it into more manageable pieces. Separate bulbs and remove the side bulbs with your hands, knife or other sharp tool.